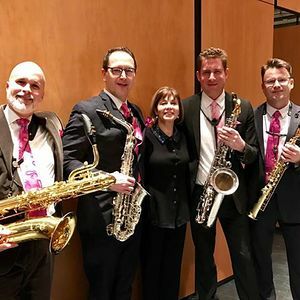 ...Throughout the 20-minute work, the Oasis saxophonists exhibited excellent ensemble and razor-sharp precision – along with edge-of-your-seat excitement in the livelier sections. Falletta and the orchestra provided appropriately sassy and splashy support, fully in keeping with the élan of the soloists’ performance. With such a sizzling performance, it’s no wonder Saturday’s audience responded enthusiastically. An encore, a movement from Martin Bresnick’s suite Everything Must Go – was of a vastly different character. The lyrical poignancy of this quiet gem concluded with four breathtaking chords that seemed stay suspended in air, in a hall so quiet you could hear a pin drop.